Well, as a follow-up to a timestream post sent a little more than a year ago, I’m writing today to ask the future about the ultimate merits and/or penalties of having engaged in the National Geographic television show “Chasing UFOs,” which as it would turn out is a great deal less scientific than I’d originally hoped/been led to believe. Not for lack of trying, mind you. It just wasn’t up to me. But then again, you know about all that. My real question is this: It seems there is a fraternity of professional scientists who wanted to try and engage in mainstream media with varying amounts of success. I myself don’t like the trend toward less-informative television that I seem to have involuntarily become a part of, and I’m considering taking a more vocal stand on behalf of science in the media. So… What happens? This is all very new territory for me. What do I decide to do, and what doors do these decisions open and/or close? Without getting nostalgic, it’s been a heck of a ride. Based on the content of these blogs, I think many would rightfully conclude that much of the scientific angle of the show wasn’t featured in the way I expected or would have preferred. 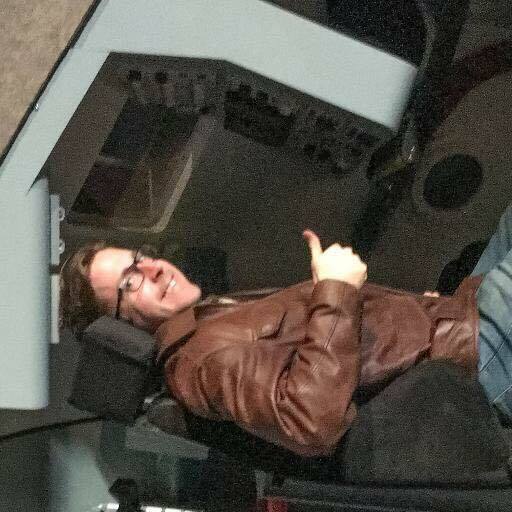 However, having the opportunity to engage – and more specifically – to try and deliver real planetary science content and a critical and logical scientific viewpoint to public discussions of astronomy, the possibility of extraterrestrial life, and the realities of spaceflight, is something I will forever appreciate. So, without further ado, for those who might like to delve more deeply into (or simply know more about the science behind) the National Geographic Channel series “Chasing UFOs,” including global thermonuclear war and Brazilian UFOs, misidentified marmosets, upside-down moons, volcanoes and “dirty” lightning, and oil field interlopers from space, look no further! 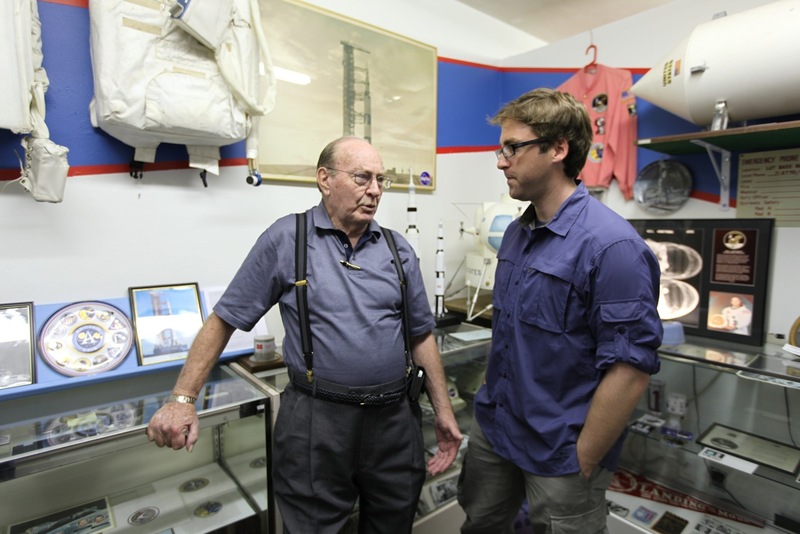 Me meeting with Apollo 14 astronaut Dr. Edgar Mitchell. For those who might like to delve more deeply into (or simply know more about the science behind) the National Geographic Channel series “Chasing UFOs,” including paradoxes, Apollo astronauts, and billion-in-one reflections, look no further! For those who might like to dig farther into (or simply know more about the science behind) the National Geographic Channel series “Chasing UFOs,” including debris field surveys, exploding rockets, and the classic argument from ignorance, look no further! For those who might like to delve more deeply into (or simply know more about the science behind) the second episode of National Geographic’s TV series “Chasing UFOs,” including industrial archaeology, cargo cults, radioactive tunnels, and orienteering troubles, check it out! For those who might like to delve more deeply into (or simply know more about the science behind) the National Geographic Channel series “Chasing UFOs,” including moon rockets, interviews with a former NASA Human Factors Director, and an artifact find at the Old Grist Mill, look no further! Cheers, and here goes nothing! The project zeroed in on the “top 5%” – the most bizarre or inexplicable – of all alleged unidentified flying object cases in history. However, unlike previous programs, in addition to firsthand interviews, we physically travel to the site of each alleged event, whether on a mountaintop or in the Amazon, to see if any material evidence exists to support extraordinary claims. Aside from the “field adventure” component, the show’s presentation is novel in that three different viewpoints are represented in each case – skeptic, believer, and “agnostic.” I’m thrilled that NatGeo has endorsed including someone like me on a project like this – essentially allowing the scientific/skeptical viewpoint to be heard. This is ultimately why I decided to engage in the project in the first case. -And with pseudoscientific, speculation-riddled and archaeology-confounding programs out there like “Ancient Aliens,” if scientists refuse to engage in mainstream media and contribute to the conversation, the conservative scientific viewpoint will rarely (or worse, never) be heard or explained. If it is obvious to an astronomer that a flashing “UFO” is simply light from Venus on the horizon taking a long path-length through the atmosphere, and he or she doesn’t bother to explain it, science doesn’t stand a chance in the face of a passionate “talking head” declaring it to be proof of extraterrestrial intelligence in our own skies. We fail twice – first to capture an excellent learning moment and secondly in that we ultimately succeed only in disenfranchising a curious public with respect to the scientific establishment. So, here goes. 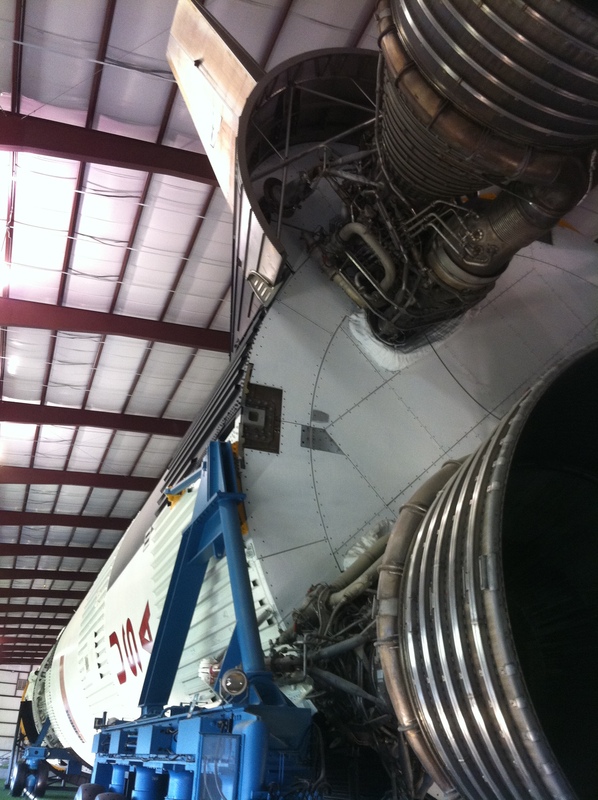 Set the time circuits for June 29, 2012 at 09:00 on the NatGeo channel. I haven’t seen the finished product myself, but I know what we did and guarantee it to be an action-packed, thought-provoking ride. Tune in and please feel free to let me know what you think!